Hip hop has thrived off of the underground for many years. The origin of hip hop is really the underground. Lyrical MCs over boom bap production designed to show you the highest form of artistry. There are some labels that provide you with a mix and a balance. There are some labels that stuck to the script and kept the culture alive and there is no other label in the business that truly embodied this than Rawkus Records. Armed with a roster of supreme lyrical talent and a keen business backing from Rupert Murdoch's son James, it seemed as if Rawkus had a full proof plan. It originated in 1995, and while the start of the label is a bit questionable in itself, no one could have predicted the impact that it would have. However, I'll be the first to admit. Anything with a Murdoch name attached to it is a bit shaky, and the two men responsible for Rawkus existing, Brian Brater and Jarret Myer were Brown University alumni that had an affinity for conscious rap. While that might not seem too shaky to the average listener, something about that bothered me in general. 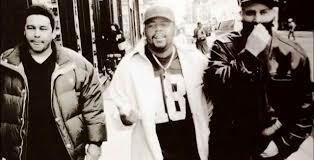 Regardless, the two conscious rap fans began their journey with the Murdoch financial backing and set their sights on Company Flow, a group that was based in Brooklyn and had already been working with Official Recordings for their debut project Funcrusher before signing to Rawkus. Company Flow was the first official signing on Rawkus and they would get to work on new songs and do a re-release of sorts to their debut project with Funcrusher Plus. The album would become one of the seminal underground hip hop releases and give Company Flow a bigger buzz and put Rawkus officially on the map. With Company Flow in tact, Rawkus set out to work with more up and coming artists in hip hop who had the skills to really stand out. They were setting up a compilation and this would serve as an introduction to many of their new roster members going forward. Company Flow was featured of course, but a new Brooklyn MC named Talib Kweli, another Brooklyn MC named Mos Def, an Ohio producer named Hi-Tek, and of course another Brooklyn rapper Shabaam Sahdeeq, began filling out the whole roster. 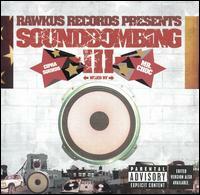 The compilation they set would be titled Soundbombing and this is one of the biggest moments of the Rawkus Records history. While Shabaam and Sir Menelik were featured and made notable waves, it would be the appearances of Talib and Mos that truly got the people excited about what's to come. 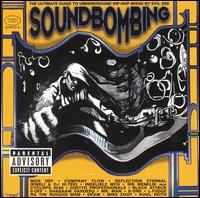 The songs on Soundbombing like "Fortified Live" and "Universal Magnetic" were truly shining examples of the talent that Mos and Talib possessed and as Rawkus prepared for something epic with those two, they took time to create another compilation, this one based around a predominantly New York hip hop showcase that would bring out some of the biggest artists in hip hop who loved the culture. I'm talking about the Lyricist Lounge. Rawkus would sponsor a showcase for Lyricist Lounge in New York and Atlanta, and with the release of the Lyricist Lounge Vol. 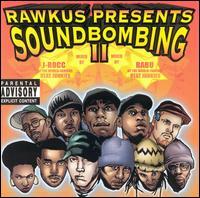 1 compilation, Rawkus put themselves on the forefront for hip hop. With nothing but the best artists in the world already respecting Rawkus and what they brought to the culture, this compilation was stacked. While Mos and Talib were on there, KRS, Black Thought, Bahamadia, Rah Digga, Ras Kass, Common and many others made an appearance, improving the buzz behind it and leading it to be moderately successful in the mainstream. With this newfound buzz and growth in the company, Rawkus would go to release one of the greatest hip hop albums of the 90's and a seminal release in conscious hip hop. 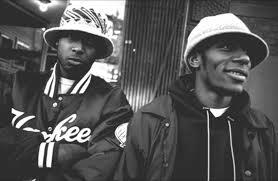 Mos Def and Talib Kweli together were Blackstar, a powerful duo that was birthed to uplift and awaken minds and speak directly to black people. While they had no love for the system, police, or political correctness, Blackstar put together an amazing album, speaking mostly to the internal than the powers that be. Songs like "K.O.S. (Determination)", "Respiration", "Thieves In The Night", and "Brown Skin Lady" all focusing on the higher self worth and esteem with knowledge and wisdom. 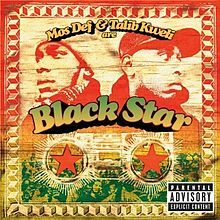 Blackstar would end up as the two biggest stars in the history of Rawkus and with this album, they would truly set the tone for what was to come. The biggest talk of the label came with their sequel to Soundbombing. Branching out and working with even more MCs than before, Soundbombing 2 would feature Eminem, Common, Sadat X, Mos Def, Kweli, Grand Puba and many other MCs that brought some fire to the table. Soundbombing 2 felt like a change and shift for the label, as it seemingly garnered them even more attention and had them perched on the forefront of the culture. Soundbombing 2 represents the true breakthrough of the label, with Blackstar being the album that cracked the ceiling for them to breakthrough. 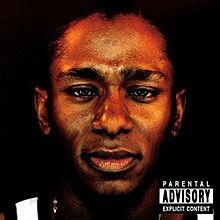 Mos Def was seemingly standing out as the best MC on Rawkus (no offense to Kweli), and the label would decide to release a solo album from him first. While preparing for the late 1999 release of Mos' solo, Rawkus found a team called The High and Mighty. With the duo crafting their debut, they would end up making a splash due to a verse from Eminem on the song "The Last Hit". That's right, before Eminem had officially become a part of Aftermath Records, it was rumored he had flirted with the idea of joining Rawkus Records. As evidenced by his song on Soundbombing 2 and this verse, they had a solid relationship. The duo's album "Home Field Advantage" would be moderately successful itself, and though Eminem and his guest verse there was a focus, the artist that stuck out to me was Pharaohe Monch on the track "Dirty Decibels". Monch seemed poised to breakout in the Rawkus field and sure enough, as 1999 was nearing its end, he would be ready to earn his stripes. Rawkus had secured a more major distribution deal with Priority Records, so their underground vibe was beginning to gain more steam in the mainstream lexicon of hip hop. They would present an amazing back to back release of their two most promising MCs, as both Mos Def and Pharaohe Monch would have hits respectively with "Ms. Fat Booty" and "Simon Says". Black on Both Sides, Mos Def's debut solo album would be seen as a classic and end up at no. 1 on the Billboard Top Rap Albums Chart. The following week, Monch would end up with a top 10 Rap Albums Chart debut and it seemed like the Rawkus dominance could begin. Mos garnered a gold plaque and Monch was creeping up on a gold plaque as well. 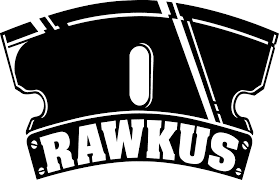 It then became title for producer Hi-Tek and Talib Kweli to try their hand at carrying the Rawkus flag during the year 2000. Would they succeed? 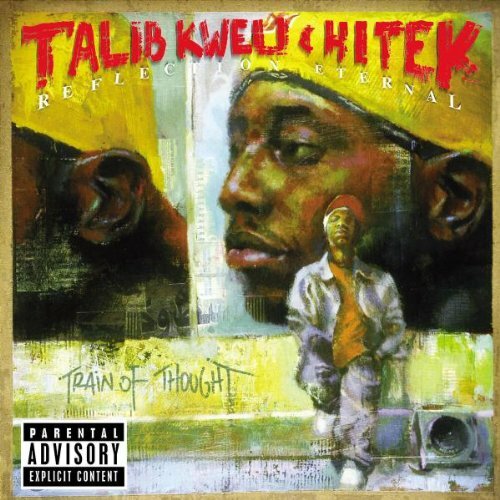 As Kweli and Hi-Tek christened themselves Reflection Eternal, they worked feverishly on an album that would assert them as a duo in the same vibe of a Pete Rock and CL Smooth. The soulful melodies and banging drums from Hi-Tek were the true basis of Blackstar's production and on the Reflection Eternal album, Hi-Tek would prove to be a star in his own right. Their album Train of Thought would become an instant hit, fueled by the timeless rhythm of "The Blast". The album would garner a gold plaque, affirming the status of Rawkus of a successful underground label that was racking in plaques on the regular at this point. While Kweli and Hi-Tek would be the main focus of Rawkus in 2000, they wouldn't be the only ones to drop an album that year from the label. First, there was the EP dedicated to Amadou Diallo and all victims of police brutality, Hip Hop For Respect. This would bring awareness to the case of Amadou specifically, who was unjustly shot 41 times by police. 41 times. In addition to this project, the late Big L would release his last recorded and first posthumous album The Big Picture via Rawkus. The album would be certified gold and have to be considered a win for all parties involved. Yet, this still wasn't the biggest win for Rawkus in 2000. 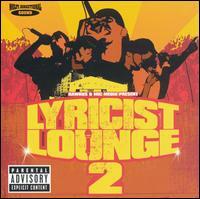 As the Lyricist Lounge 2 project geared up for release in November 2000, Rawkus would find themselves creating an almost flawless formula for a hit. Mos Def and Pharaohe Monch, the Rawkus MVPs in 1999 would be teamed with the greatest hook man in history, Nate Dogg over a bouncy yet knocking Rockwilder track to create the infectious "Oh No". "Oh No" would hit no. 1 on the hot rap singles chart, a huge feat for Rawkus and it would be all over urban radio. 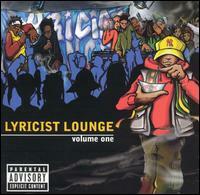 The Lyricist Lounge 2 project would take flack from critics for being a bit more commercial than previous releases, but it featured a stacked roster of artists and producers rooted in the Underground and would still prove to be a successful project for the label. Rawkus was seemingly in a great position. At the end of 2000, they had Reflection Eternal, Mos Def, Pharaohe Monch, and Hi-Tek and Talib Kweli signed to solo deals as well. They could continue building their label and bring in newer faces to carry everything as the stars of the label focus on other projects. 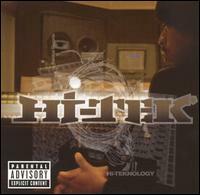 2001 would be a quiet year for the label, with only a few projects released and none really hitting the mark except for the Hi-Tek album Hi-Teknology and the # 1 rap single featuring Jonell, "Round and Round". This was a highlight, but after the 1999 and 2000 run, it would pale in comparison to what had been accomplished. Da Beatminerz released a project that made a little noise, but there was no big project to really carry the label this year. That would change in 2002, as they would turn to their remaining star and their breakthrough series to bring them some more notoriety. 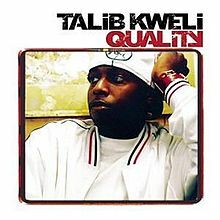 Soundbombing 3 was released in 2002 to a decent reaction and moderate sales, setting the tone for Talib Kweli to come along and drop what I feel is his best solo album, Quality. Monch was dealing with other things, though he was still a part of Rawkus, Mos Def was acting, and the label turned to Kweli and he delivered. Quality went gold, was regarded as one of the best albums of 2002, and had Rawkus in a winning position again. The mega hit "Get By" from Kweli would make it on the Billboard Hot 100 and also raise the stock of a producer who was already well known in the Roc-A-Fella camp, Kanye West. What's interesting to note is that Kanye West had been interested in following the footsteps of Mos and Kweli by joining Rawkus Records as a producer and rapper, but Rawkus didn't see the vision of Kanye. This is always an interesting note in the legacy of Rawkus Records, because what if they signed Kanye? Would he be the star he is today? Would Rawkus have survived and become one of the biggest labels in hip hop as a result? Rawkus owners probably regret passing on Kanye, but at the time, they were likely not looking to take a risk on Kanye or a risk on anyone at the time. I'd say after Kweli hit with Quality, the official end of Rawkus came. It just wasn't the same. MCA reached a joint venture deal with Rawkus, but MCA would soon fold and be bought out by Geffen Records. Rawkus was supposed to put out the Kool G Rap album "The Giancana Story", but Koch ended up securing the rights of that album, and that possibly cost Rawkus another gold plaque and album. 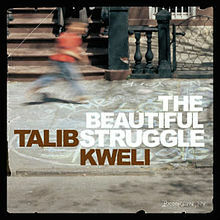 Rawkus would stagger before working on their final release with Kweli in 2004, The Beautiful Struggle, which was an album seen as a departure from the solid Quality and while the album did alright sales wise, it didn't garner enough attention or credit. The feeling was that Geffen was going to water down the brand, and this caused Rawkus to sell their catalog to Geffen and move on. Rawkus would be virtually quiet from 2004 to 2006, aside from a Geffen sponsored "Best Of" compilation, which featured all the songs they acquired in buying the catalog. When Rawkus returned however independently in 2006, they seemed to have a gameplan. Armed with a new duo Kidz In the Hall, assistance with Seattle duo Blue Scholars, a deal with artist Panacea, a deal in place with Marco Polo, and their independence back, Rawkus attempted to come back into the game. 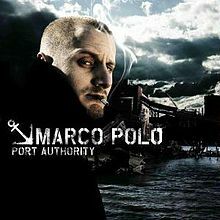 Kidz In the Hall would prove to be their biggest act in the reboot, and Marco Polo's Port Authority would see some indie success, but as soon as their reboot began in 2006, it ended in 2007. 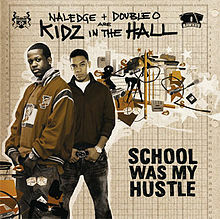 Kidz In the Hall would deflect to Duck Down Records, and most of the releases Rawkus was attached to made little noise. It had seemed as if their time had passed and despite the Rawkus 50 initiative they brought about, it wasn't enough to keep the brand flowing. Duck Down, Koch, and others had provided the independence that Rawkus had cultivated before, and now they weren't seen as necessary. It was a bitter pill to swallow I'm sure, but the time for Rawkus was over. Regardless, that doesn't take away from the run they had in 1997-2002. We know the talents of Mos Def, Talib Kweli, Pharaohe Monch, and Hi-Tek, and we have Rawkus to thank for that. While Rawkus is no longer around, the impact they made on the game will forever be important and always stand out in history. Long Live Rawkus.